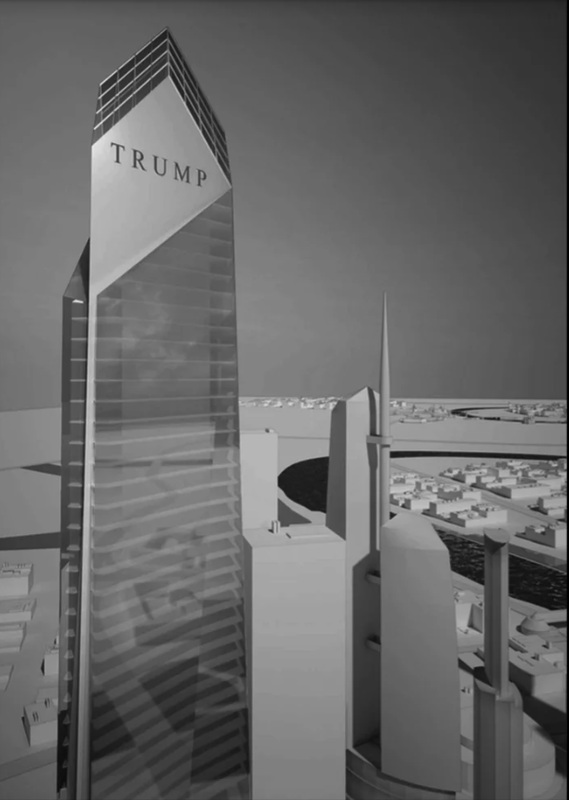 The developer of the proposed Trump Tower in Moscow that was negotiating with Michael Cohen and the Trump Organization appears to have an unaccounted 6 billion rubles or $90,000,000 after it received a loan from Sberbank in the weeks following the agreement with Trump. Exclusively obtained company documents show a massive discrepancy between the purported amount of the loan and the actual amount of capital that Sberbank extended to IC Expert, the developer. At the time of the Letter-of-Intent agreement with the Trump Organization, IC Expert had one other major development underway in the Moscow suburb of Reutov — a massive residential development complex called Novokosino-2. The microdistrict also includes public facilities such as schools, parks, and shopping centers. In an effort to fund the construction of two of the seventeen buildngs in the complex, IC Expert reached a line-of-credit agreement with the state-owned Sberbank. 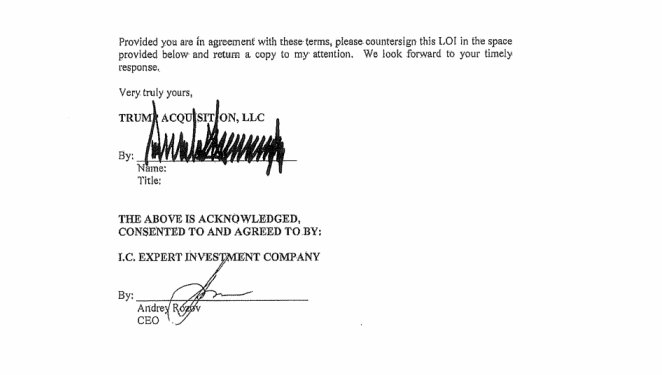 The loan agreement was first realized on November 18, 2015, just three weeks after Trump signed the Letter-of-Intent with IC Expert’s chairman Andrey Rozov. In December 2015, three offshore companies that comprised the ownership of IC Expert pledged 100% of their share capital to begin executing the loan, and money began flowing from Sberbank to IC Expert. 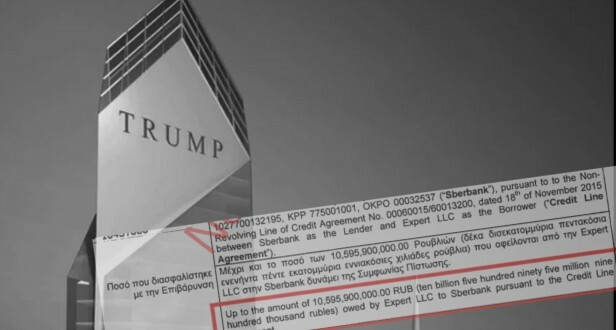 The true owners of the three shell companies remain unknown, though at least two of those companies (comprising 75% of the shares) were controlled by a Cypriot lawyer known for his ties to Russian elite and involvement in multiple money laundering schemes. The lawyer, Christodoulos Vassiliades, is also a Director for Sberbank’s Cyprus branch — raising questions about a possible conflict of interest in this case. According to business documents in the project declaration for the two Novokosino-2 buildings (number 16 and 17), Sberbank provided 4,595,900,000 (4.595 billion) rubles to fund the majority of the construction. 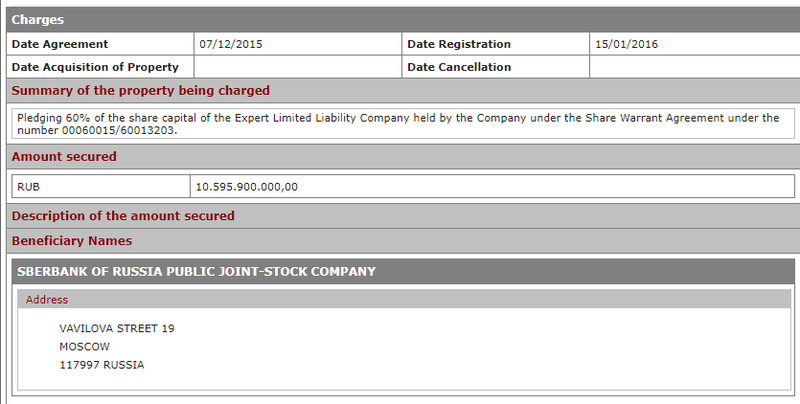 The declarations for buildings 16 and 17 from IC Expert, shown below, note the Sberbank loan. The purpose and amount of the Sberbank line-of-credit was affirmed in news reports and at least one independent analysis of IC Expert’s finances. The Novokosino-2 project, and in particular buildings 16 and 17, were the subject of dozens of lawsuits from angry prospective homeowners. The construction on the buildings was delayed multiple times, and as a result, many homebuyers lost their money. According to one Russian news article, building 16 was finished in 2018 while building 17 remains under construction. Two sources familiar with the matter said that bankruptcy proceedings had begun against IC Expert, though that could not be independently verified. 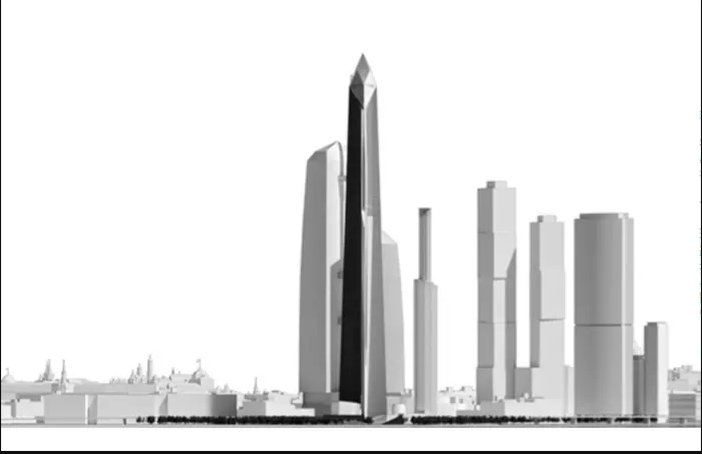 The project outlines for buildings 16 and 17 noting the Sberbank loan differ greatly from the true amount of the line of credit, per official, audited Cypriot corporate documents. The real value of the Sberbank loan, as seen below, was 10.595 billion rubles — precisely 6 billion rubles more than IC Expert had claimed. A second document filed with the Cypriot government confirmed that IC Expert (via the Cypriot offshore company which was majority owner of the Russian firm) owed Sberbank the full 10.595 billion rubles, indicating that the entire line-of-credit was executed. Sberbank has to ensure the confidentiality of its clients’ banking secrets and therefore cannot comment on any of the banking operations that clients perform. Though there is no public evidence that any money flowed between any Trump associates and IC Expert, a letter from IC Expert CEO Andrey Rozov to Trump’s lawyer Michael Cohen in September 2015 revealed a plan to use a company in the United States to handle any matters relating to Trump Tower Moscow. Felix Sater, a Trump associate and convicted Russian mob-connected fraudster turned FBI informant, acted as an intermediary between Cohen and Rozov and other Russians throughout the Trump Tower Moscow negotiations. It is unclear if such a corporation was ever incorporated in the United States. Requests for comment to IC Expert and a lawyer for Felix Sater went unanswered. Peter Carr, a Spokesman for Robert Mueller’s office, declined to comment on their ongoing investigation. Separately, it has been revealed, via the same letter from Rozov to Cohen, that Andrey Rozov was behind a purchase and quick sale of a Manhattan office building in 2015. The sale, which was first reported by independent journalist Wendy Siegelman when the buyer of the office building was unknown, saw Rozov turn an $8.1M profit just months after an all-cash purchase of the building for $35.5M. Three LLCs controlled by New York City real estate investment and management firm Dalan Management and real estate developer David Karmi made the 2015 purchase from Rozov, according to New York State property documents. Sater represented Rozov in the sale in December 2015, just as the two were in discussions about Trump Tower Moscow with the Trump Organization. Congressional investigators plan on scrutinizing the attempt to build Trump Tower Moscow during the 2016 campaign. “[The House Intelligence Committee] is already working to secure additional witness testimony and documents related to the Trump Tower Moscow deal and other investigative matters,” Chairman Adam Schiff said in an interview with CNBC in mid-January.